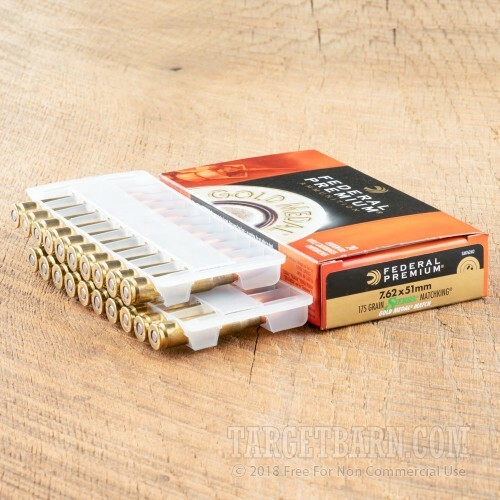 A 7.62 NATO match load comparable in performance to mil-spec M188LR, this ammunition from Federal is a worthy addition to the Gold Medal Match series. 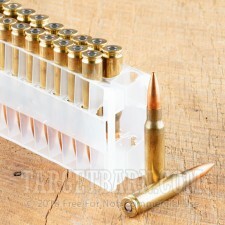 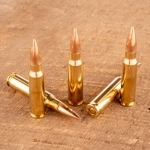 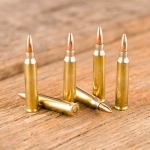 These cartridges fire Sierra MatchKing bullets, which are renowned for their extreme accuracy and production quality. 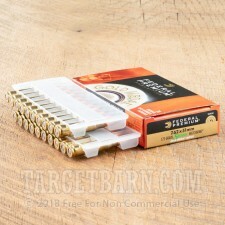 Each round in this box of 20 fires a 175 grain version of the MatchKing at 2,627 feet per second. 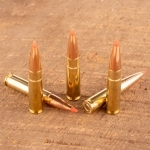 The heavy, boat-tailed bullet is highly resistant to crosswinds and produces very consistent ballistics. 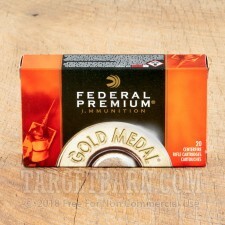 Federal Gold Medal Match ammo is made in the USA using non-corrosive primers. 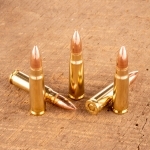 This particular load uses military-style unpolished cases with intact annealing marks.